STORY: A 113-year-old heritage steam engine, the only existing narrow gauge engine, in India’s northern Shimla city is drawing tourists from across the globe. The engine, KC-520, dates back to 1903 and runs on the Kalka-Shimla line – awarded world heritage status by UNESCO in 2008. Used to ferry coaches till the 1970s, KC-250 is one of the biggest tourist attractions of Shimla. Now the engine ferries 30 tourists in three train coaches on a 22-kilometer-long journey giving passengers a view of the Himalayan city’s scenic valleys 5,000 to 7,000 feet above the sea level. A tourist from United Kingdom, Barbara, on Tuesday (March 13) said the ride enhanced her experience of coming up in the mountains. 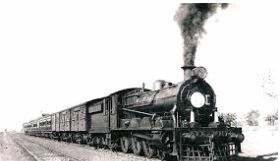 Steam locomotives, which ferried Europeans to and fro Shimla – erstwhile summer capital of British India, were phased out in 1970 after the launch of diesel engine.